← A NEW LOW! Cheating Our Vets! This is world wide persecution. The US government is resisting calling the persecution and religious killings in the Middle East , genocide. I remember before the election of Mr. Modi, some Christians from India being concerned about this very possibility. I thought Mr. Modi would be be the PM of all India and faith groups. It looks as if I was mistaken. Do see my post from Varanasi where we encountered questioning of our faith even as tourists. Anger, hatred, and mistrust seem to be whirling around the earth! The latest extremist attacks against Christians in 2016 thus far have come from an unlikely source. As Christianity has seemingly been under attack in places like Iraq, Syria, and Africa for over a decade from extremist groups like ISIS and Al Shabaab, the first six weeks of 2016 have seen a fresh outbreak of anti-Christian violence in India with nearly 30 incidents of religiously motivated violence against Christians reported in just over two months. While it follows a global trend, it’s Hindu nationalists leading efforts of persecution. 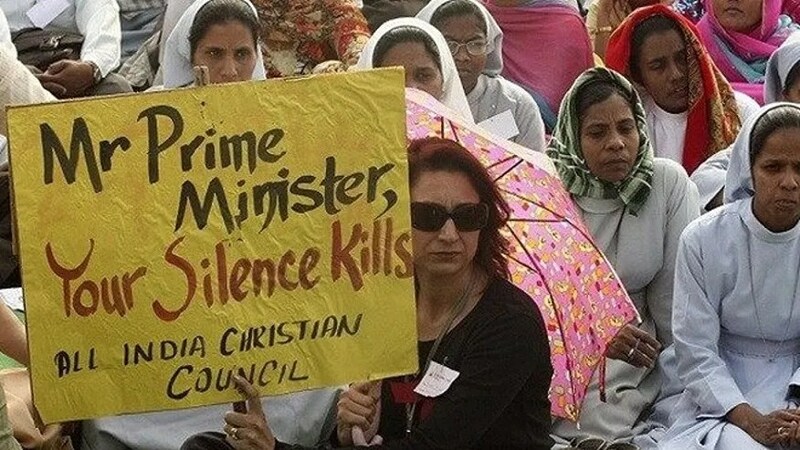 According to various news reports, there have been 26 documented incidents of religiously motivated violence against Christians spread across the subcontinent since Jan. 1. Incidents of violence against Christians have always existed in one form or another, but were usually limited to a particular region or issue. However, the violence has begun to spread with Hindu radicals enjoying near complete impunity for their actions. “They are wolves in sheep’s clothing,” Jeff King, president of the International Christian Concern, told FoxNews.com. “There has been an increase in attacks because these nationalists feel emboldened with [Prime Minister Narendra] Modi in power. Local police officials took no action against the aggressors in many of the incidents. One such was Jan. 29 in the southeastern state of Tamil Nadu when a mob of over 30 radicals in the village of Ettimadai ruthlessly attacked, beat, and dragged a Catholic priest and three church officials from their car. All four men tried to flee from the mob but were eventually caught. The mob then dragged and beat them for a mile and a half. Despite pleas for help during the incident, police stood idly by. All four men were hospitalized as a result, with the priest requiring treatment in the intensive care unit of a nearby hospital. The group was first approached by the mob while they were waiting in their car outside the police station to speak with authorities regarding the arrest of a priest and two others from an AIDS/HIV clinic run by the church. Just two weeks earlier, in the Nizamabad District of Telangana State, a local pastor and members of his congregation were savagely beaten by a mob of 40 Hindu radicals after they falsely accused him of trying to convert Hindus to Christianity. According to locals, the attack occurred during a Christian prayer gathering and resulted in the hospitalization of six, including a four-year-old girl whose leg was broken during the attack. And just last Sunday, a Pentecostal church in the Chhattisgarh state was attacked by a mob believed to have been a part of the militant Hindu Bajrang Dal organization. They were alleged to have entered the church during prayer services and broke chairs, fans and musical equipment, according to Christian Today. It was the fourth attack on churchgoers in the region over the last six weeks. While attacks against Christians have occurred for quite some time, the problem has seemingly become widespread after the election of the Prime Minister Narendra Modi and the rise of the Bharatiya Janata Party or the Indian People’s Party. The BJP believes in what is known as Hindutva—a cultural nationalism which favors Indian culture over westernization. And while Modi and the BDP have not publicly praised the attacks, they aren’t publicly opposing them either. 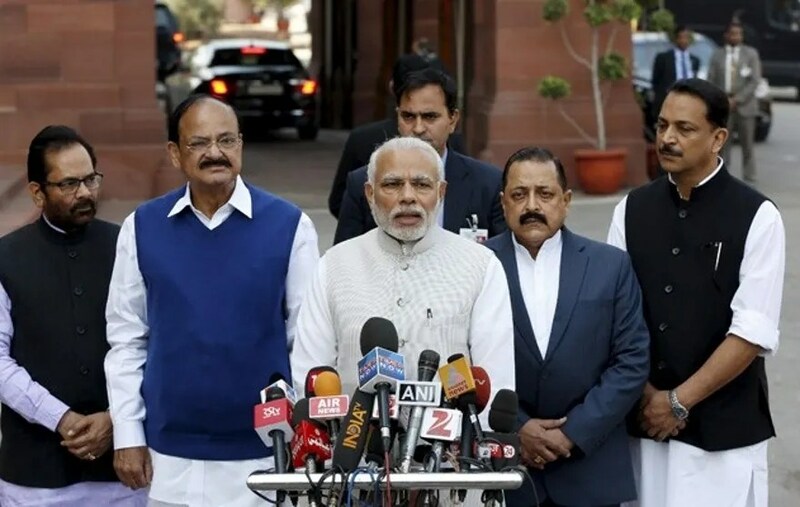 The rash of outbreaks led humanitarian groups like the ICC to campaign in Washington to put pressure on Modi and the BDP to stop the wave of extreme nationalism. “His silence is tacit approval,” King of the ICC said. “Push came to shove once before and he [Modi] had to come out and say that India is tolerant and the nationalists backed down. Late last month, a bipartisan letter was sent to Modi by eight U.S. senators and 26 members of Congress, requesting that he strongly and publicly condemn the acts of persecution. But so far, there has been no response. This entry was posted in India, Religions of the World, Travel, Uncategorized and tagged Christianity, conflict of faith, faith, Hinduism, India, Mr. Modi, persecution of Christians, politics. Bookmark the permalink. persecution in a secular country ? give me a break. For my observation, yes , sadly it is part of human nature even in secular country. Thanks Mukul. Sorry but I think your observations are not Neutral or tilted far more than the Leaning Tower of Pisa. Oh you need not be sorry, Mukul ! I was only a visitor in your wonderful country. I am curious what you felt was tilted in the article and in my personal experience. I would love to hear your thoughts. Kindly let me know which country you hail from. Thank you for keeping an open mind. Am happy to know you enjoyed your trip to India. I am from the United States. I know that while Pakistan was named a Muslim country, India was formed as a secular country with partition. I also know that I read that 99% of Indians profess some faith system, right? Thank you for taking time to share! Thank you. While the desire to divide was immense in 1947 and persists, we in India continue to embrace all faiths.To your article and comments now they are divisive. All Christians in India belong to this Land and have been converted to Christianity. Your article and the basis thereof has intentionally picked up skirmishes without going into their background. Catholic Priest was beaten up because he wanted to sexually exploit children.Do not cry WOLF where none exists. Mukul, thanks for pointing out the inaccuracies of this article and giving an Indian perspective to the subject. As you know, I am not an Indian, but an American who loves India!